The term “B-movie” is almost synonymous with poor quality, but there are some filmmakers whose works challenge that assumption. Val Lewton (1904-1951)opens a new window, who made films for RKO’s horror division in the 1940s, was one of those filmmakers. The movies he produced -- dark, atmospheric films with fascinating character studies -- were extremely high-quality despite being made on a shoestring, and demonstrated that it isn’t always what you have but how you use it that matters. Before RKO, Lewton worked as a story editor for David O. Selznick on various projects, including Gone with the Wind, and he also did the majority of the scouting work when the studio was looking for a story to adapt. He was appointed to RKO in 1942, where he was given three very strict criteria regarding the films he would be allowed to make: the film had to cost less than $150,000, it could not have a runtime over 75 minutes, and the title of the film would be chosen by Lewton’s superiors. Making anything under these restrictions would be a daunting task, but Lewton had some excellent people working with him, including three fantastic directors: Jacques Tourneuropens a new window, Robert Wiseopens a new window, and Mark Robsonopens a new window. Lewton was a master at subverting expectations. Having no control over the titles of his films, he nevertheless found ways of telling the story he wanted within the bounds of what he was expected to write. These titles, such as I Walked with a Zombie or Cat People, appeared to promise appropriately-visceral horror, but the end results focused less on gore and more on what wasn't shown to generate suspense. The limited budget made convincing special effects an impossibility, so Lewton decided to do without them entirely, instead relying on dramatic lighting and contrasts to convey the proper atmosphere. This is used to masterful effect in films such as Cat People and The Leopard Man; the audience never actually sees anything, but there’s never any doubt that something is not quite right. 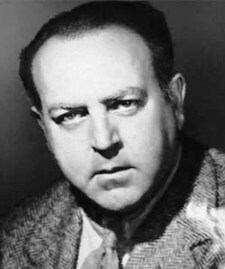 Lewton wrote the final drafts of all of the screenplays, but he received only two screen credits for his work; both of these were under the pseudonym Carlos Keith. Lewton’s films were not always reliant on the supernatural for horror. Some also dealt with human evils, such as criminal insanity, the abuse of authority, and man's inhumanity to man. The villains of these films are no less chilling, particularly in films like Ghost Ship and The Body Snatcher, where an unnervingly thin line separates them from the morally-upright protagonist. These dramatic character studies illustrate how, under the right circumstances, anyone can become a monster. Interested in watching a Val Lewton film for yourself? Here are some great examples from our catalogopens a new window! Cat People (1942)opens a new window - Lewton's first and most famous film with RKO, in which a young artist avoids intimate attachment due to the fear of an ancient curse. Dark and atmospheric, it set the tone for most of the works in Lewton's filmography. Curse of the Cat People (1944)opens a new window - A pseudo-sequel to Cat People, in which a young girl with an active imagination befriends a ghost. Despite the title, this is not actually a horror film but a beautifully-crafted character study. The Leopard Man (1943)opens a new window - After a publicity stunt gone wrong, a panther escapes and a wave of terror and confusion sweeps through a small New Mexico town. Ghost Ship (1943)opens a new window - The newest officer aboard a freighter starts to develop suspicions about his captain's ability to command after a series of increasingly-disturbing incidents. I Walked with a Zombie (1943)opens a new window - A young nurse travels to the West Indies to care for the catatonic wife of a sugar planter, only to find a troubled household with more than a few skeletons in the closet. The Body Snatcher (1945)opens a new window - A doctor in 19th-century Edinburgh is trapped in a Faustian bargain with a sinister cab driver (a masterful performance by veteran horror actor Boris Karloff) who provides corpses for the medical school. Loosely based on a short story by Robert Louis Stevenson.